Master System - News - Page 2 - PDRoms – Homebrew 4 you - Almost daily console and handheld news! Monos51 released Sokoban SMS for Sega Master System earlier this year. The source code is loacted within the .zip package as well! Thanks to sverx for the news. CollectorVision Games has the next Sydney Hunter ready. Sydney Hunter and the Sacred Tribe will hit the Sega Master System sometime soon. The game is complete, but the publisher is in need for cartridge shells. If you have some, please let them know. Waimanu should shoot metal blocks and wekas that might be hiding in them. Some blocks also can hide power-ups which can give Waimanu new features such as temporary multiple-fire or increased speed. Also he can shake the floor he’s on, making all the weka on them fall under, if he’s got enough ‘shakes’ left (he can find more shakes hidden in blocks). Each and every Weka should be removed before the times runs out. A friendly reminder: The game is still work in progress. Already back in October we have mentioned eruiz00’s game Silver Valley. Just end of 2017 the first public version has seen daylight. There is also a long discussion thread available, which you might want to read or maybe you just want to leave feedback as well. It’s a mix of Castlevania, Kid Icarus and Wonderboy in Monsterland featuring over 60 levels including boss fights. The game can be difficult at times, just as you would expect from an authentic game. If there would be something like the Master System homebrew game of the year 2017, this production would have possibly got the title. Enrique Ruiz and his Sega Master System game Silver Valley is something you should keep in the backyard of your head! It’s a mix of Castlevania, Kid Icarus and Wonderboy in Monsterland. It will feature over 60 levels including boss battles. Such a quality game has not been seen in ages for the Master System, so it’s just astonishing! Keep your eyes open and check the discussion thread at smspower.org on a regular base. 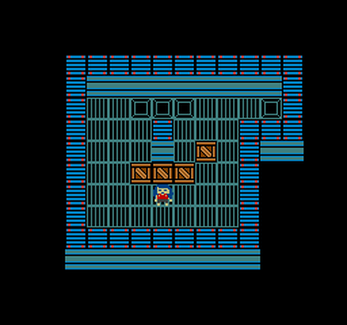 efry is still heavily working on his platform game Monkey Lad. Newly added are jumping fishes and it’s looking awesome! Classic Gaming Quarterly tells us interesting things about the Sega Master System. Ma Kai Quest is a total conversion of “Alex Kidd in Miracle World”. Modifications are still in progress and the whole game just looks brandnew. We took a creative break but are now back at work again. First steps were fixing, polishing and adding some minor stuff and adding a completely new level (codenamed “junkyard”) as well as finally writing the complete story down. I updated some of the screenshots of the original post and hope to present a milestone real soon. Current version number is 0.305 but we will not post any updated ROM patches soon. efry is heavily working on his platform game Monkey Lad. There is not much yet, but it’s looking damn cute already. Scope is a Sega Master System homebrew game by 64kb Games. How good is your reaction time? Scope is a very simple light-phaser game that lets you test your speed and accuracy. A picture is placed on the screen. Only the bar where you are aiming is illuminated with color. You only have 3 seconds to find the bright red color on the screen and shoot it!!! If you hit, the whole picture is shown in color before going on to the next picture. Miss even once, and you get sent back to the title screen. Hit all 20 targets, and your reaction time is measured at the end of the game. How quick are you on the draw?